In 1938, Joseph Baker began his architecture career in Newark, Ohio. As sole-proprietor, he focused his love of design on educational facilities and quickly became one of the most sought after and respected school designers in Ohio. No longer able to keep up with demand, he expanded his practice to include associates and partners. Many landmark buildings in Licking County and beyond have a distinct “Joe Baker” look that are still considered innovative and contemporary. 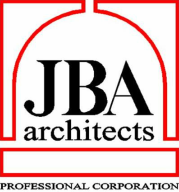 At his passing in 1987, Joseph Baker and Associates became JBA Architects. To this day, we strive to continue the vision that Mr. Baker had for his company. We are a moderately sized firm that easily and successfully completes large projects on time and within budget. We are equally proficient with small projects and renovations. With a wide range of services, JBA provides cost effective, functional, unique and sensitive architecture for our clients.